it inaugrated its branch in karaikudi in june 2012.It has more branches in tamilnadu.In karaikudi it is handled by the famous bakery owner the name of the bakery is The Iyengar Bakery. Having more experince in serving the people of karaikudi,the owner is maintaning good understanding and also he knows what karaikudians like more.It is having a good service to the customers.home delivery option is also available. 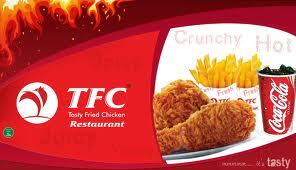 I love TFC Karaikudi and it is really tasty as same like KFC. finally the iyengar has gone to fry the chicken. o.k. what about the desotta bakery. they are also good in cakes. I like your post. Thanks for sharing information. Its a nice information about restaurant in karikudi. I like your verity of food. SelectCiti provides more information about Restaurant in coimbatore. Very nice blog and thanks for sharing the very nice post for chicken lovers. Nice blog. Thanks for sharing information about your services. 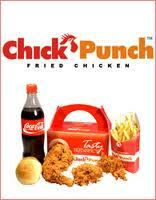 You can order your favorite veg non veg food online in Lucknow city with our services.